Video footage of police officers guarding a tiger enclosure at Hamerton Zoo has emerged online. 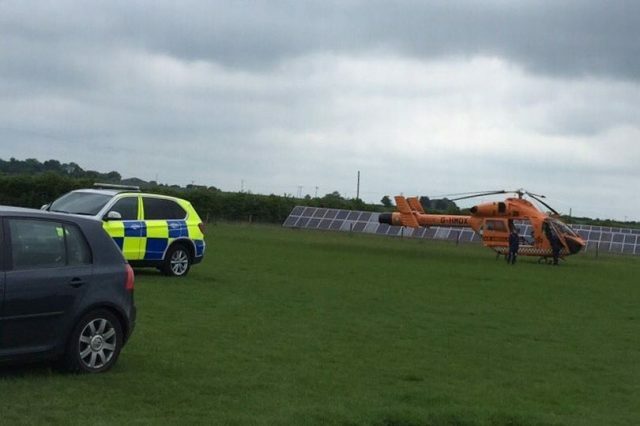 Hamerton Zoo has been closed since before midday as emergency services – including an air ambulance – attend to the scene. Posting the footage on Twitter, BBC reporter, Jon Ironmonger, said the footage was taken from a helicopter. While the details have not yet been confirmed, there was some speculation a tiger had escaped but these were soon put to rest. I can confirm no animal has escaped and full details will be sent out in a press release later this afternoon. We were called around 11.15am to reports of a serious incident at Hamerton Park. Officers attended the scene along with ambulance crews and MAGPAS [air ambulance].